Alright fellow crafters, here is my second Sneak Peak for the Layers of Color new release, that is being fully revealed October 11th! 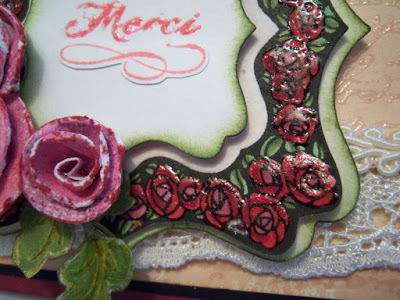 That lovely Rose Frame the you see is one of the new LOC cling art stamps that coordinate with Spellbinders Labels 16 die! Isn't it just gorgeous!!! Below you can see how I colored it with my Copic R56 marker then heat embossed it with clear embossing powder. If you haven't been over to the LOC's SNR group, you should become a member and get a chance at winning one of LOC's new releases! Go here to find out more info. Thanks so much for looking and have a blessed day!! what a beautiful frame! lovely roses. thud....oh wow Janice. This is amazing, love the dp and the glaze on the roses in the frame. Just beautimous! Love the embossed roses on the frame. Gorgeous! Stunning!! 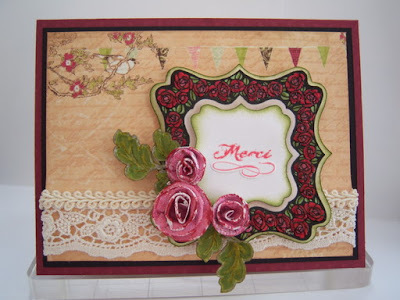 love th embossing over the colouring. Wow, what a gorgeous card, Janice!! Those paper roses are the perfect touch with the Rose Blossom Frame! You are so inspiring! Pleats and a FUN color combo! Layers of Color New Release Blog Hop!